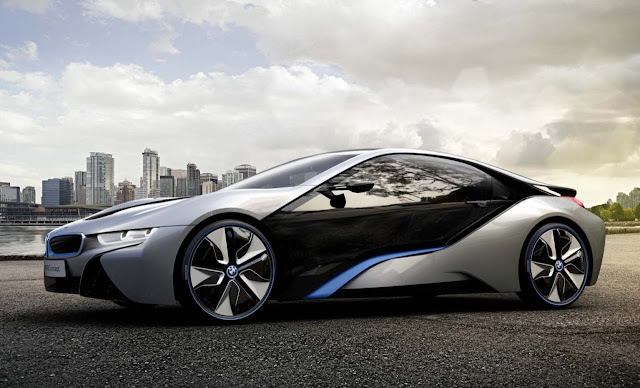 BMW will unveil their i8 supercar on 10th September at FrankFurt Motor Show however they have just showcased the car through an official Video. The car will carry a 1.5L 3 cylinder Petrol engine that puts out 231hp and 320Nm of torque. The car will also have an electric motor which develops 131hp and 250Nm. The car could do a stint of 0-100 Kmph in just 5 second and could go upto maximum speed of 250 Kmph. The car will be made out of carbon fiber and will weigh less than 1.5 tonne. Watch out the Video now. The Interiors of the car have also just been released and here are the first official production-spec images of the i8 and one of these images lifts the veil on the interior.